In honor of our three year (dating) anniversary, I wanted to share something my maid of honor and I made the night before the wedding. 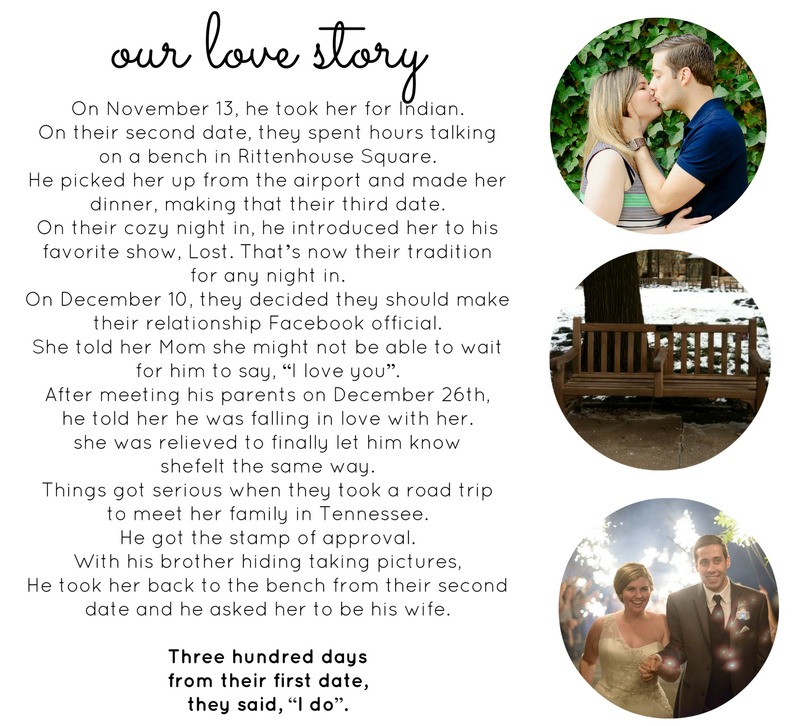 We wanted something to put on the tables to share a little bit more of our story, we got married really fast (300 days from our first date!) so a lot of our friends and family who lived away didn’t really know the whole sequence of events! We literally found out at about 1am that it was exactly 300 days from our first date to wedding and we were dying laughing – what are the odds?! Happy Anniversary JPS – even though you say we have too many to keep track of! Categories: Good Times | Tags: anniversary, engagement, love story, short engagement, wedding | Permalink.